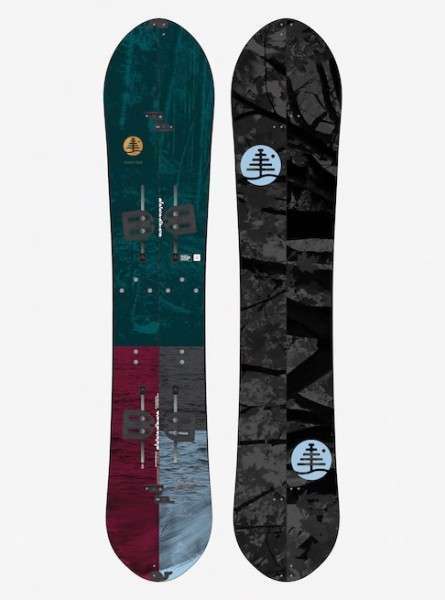 Well ladies, If you’ve been considering your first splitboard, or are a avid splitboarder who is looking to add a new split to the quiver, you will find that you have more options than ever this season. 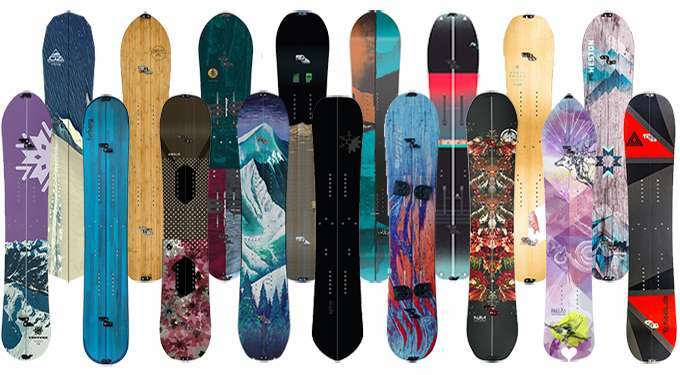 Over the last several months we have searched far and wide to create this extensive showcase of 20 brands and 31 splitboards which are available for the 17/18 season. With manufacturers both big and small creating pow specific shapes, applying long radius sidecuts, utilizing lightweight carbon construction, and even asymmetric designs, it’s that much more likely that your perfect splitboard is out there waiting for you. Take a moment to check out all of the various options this year and we hope that this helps to set you off in the right direction. Extended your pow-hunting range with short skinning missions, or pioneer further into the backcountry with the LoveLife Split’s lightweight, well thought-out design. Based on the mountain-conquering LoveLife, the Split’s shape and well-matched Direction Cruise Camber profile strike the perfect balance between control and maximizing deep snow enjoyment. It’s true, there are lighter splitboards, but very few boards deliver such a well-rounded package with such a reasonable price tag. On the construction front, the LoveLife’s full-wrap steel edges are essential for grip during tricky traverses and durability for rocky climbs. 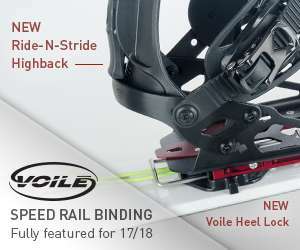 Its Voile insert pattern is the industry standard and features on all Amplid splitboards: It is compatible with bindings from most manufacturers, including Voile, Karakoram and Spark R&D. New UltraClips, the second generation of Karakoram’s market-leading board clips, not only look slick, they offer the best mix of durability and performance. Ambassadors, mountain guides, internet forums and test days; each year feedback and inspiration from every credible source is painstakingly collected and contemplated to evolve and improve the Milligram. Neat, little tweaks and huge innovations are what keep its weight and ride superior. Every trick in the book is used to keep this weight-weenie as light and as durable as possible. Carbon fiber, which has an unbelievable stiffness to weight ratio, replaces conventional fiberglass. Our secret recipe BBP core not only cuts weight, but helps to damp carbon’s nervous character. Tanga Tech reduces chipping and slashes 250g of unnecessary weight. New Powder Pontoon, a band of UD carbon running from tip-to-tail along each board half, and additional reinforcement beneath the climbing wires increase spanning-strength reducing the risk of a dreaded snowhole snap. Amplid’s split-specific edge tune and Karakoram’s new UltraClips round-off the improvements to this year’s masterpiece. 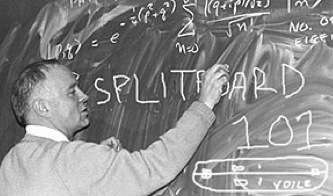 After experiencing the shocking weight advantage of the Milligram’s construction, it’s impossible to revert to heavier alternatives. The Millisurf is the choice for splitters who want the performance orientated materials and features of the Milligram in a more surfy board shape. Carbon laminates, a BBP core and low viscosity resin, also known as the holy trinity of splitboard construction, strip weight like it’s going out of fashion, making ascents fast and painless. The tapered swallow-tail shape of the Surfari, with its unique three-dimensional Crust Buster Nose, transform this thoroughbred climber into the ultimate split for pillaging powder. 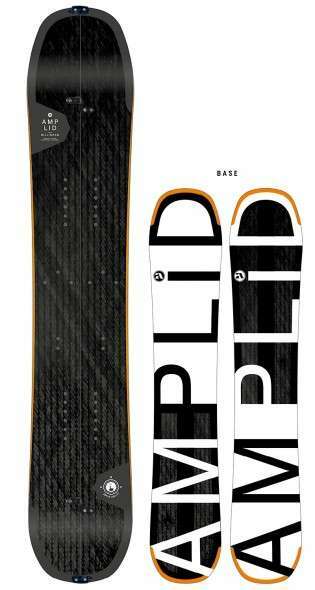 Innovative thinking is how Amplid approaches durability: Tanga Tech, Glass Impact Pads and Powder Pontoon are three cleverly placed reinforcements which solve the problem of chipping, crack propagation and bending failure which can plague lightweight carbon splitboards… but not this one. The Swoon Splitboard is a women–specific design created around a reclined version of our Rocker System shape to improve climbing performance. The design brings the versatile, surfy feel of our Swoon Rocker shape to women who want to explore the backcountry. New for this year, we’ve adapted the sidecut radius to work better in all conditions; still long enough for high speed freeriding, but slightly shorter than previous years to make the board more reactive. Also all rocker and reverse sidecut transitions have been tweaked for an even smoother ride. 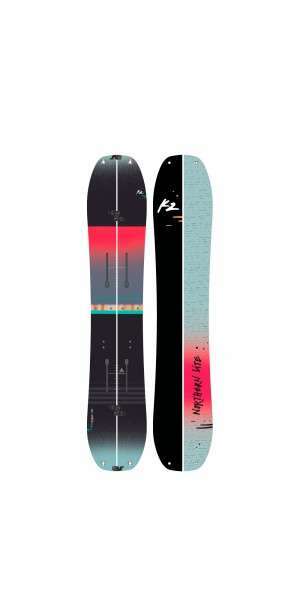 The combination of high-speed stability, maneuverability and catch-free properties has made the Freeride Split one of the most talked about splitboards of the past few years. Its long sidecut radius makes the splitboard calm and forgiving, while the rocker and reverse sidecut in nose and tail makes it float remarkably well in powder and remain catch free in any situation. Still the best selling splitboard in the world, the Women’s Solution delivers unrivaled backcountry performance in any terrain. The blunt nose, directional rocker profile and inner/outer edge Traction Tech keep you locked in and gliding fast no matter where you roam. For improved ECO-performance, the Solution features an ECO-plastic topsheet. 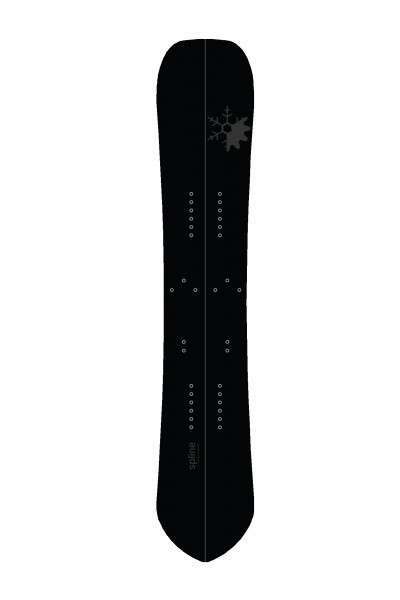 The topsheet is made from castor beans and is snow-repellent so snow sticks to your board less. The Solution also features the Boltless Bridge which eliminates base hardware, stainless steel tip and tail reinforcement plates for added durability plus Karakoram Ultra Clips for improved torsional board lock. New for 2018, we’ve added carbon split stringers to the Solution for more pop and precision response. The lightweight construction and unique camber profile of K2’s Northern Lite’s Splitboard is designed to make the backcountry more accessible than ever. The flat section between the inserts and rockered tip and tail allows for painless trail breaking performance while climbing, and effortless turn initiation and float on the way down. K2’s tip and tail grommets for glove and mitt friendly transitions ensure you’re bound to be the first one strapped in and ready to drop. The Vinson Split is for the rider who enjoys the balance of a twin shape, even while split-boarding, but needs a board that will perform well in deep west coast powder. The Vinson Carbon Split is the most lightweight splitboard experience available on the market today. 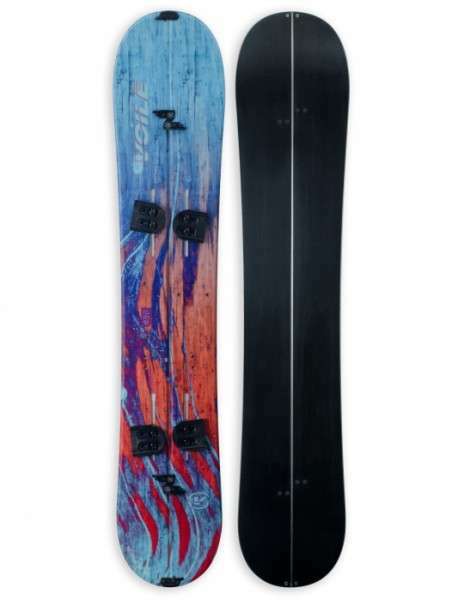 Pressed using a pretensioned, precured carbon construction and high-performance materials, this board is designed to enhance your backcountry experience in only the best way possible. Comes complete with Karakorem clips, however, skins, pucks, and bindings sold separately. 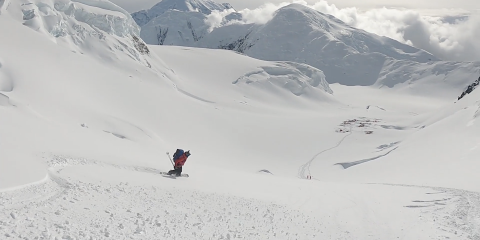 Ditch the lift lines, and use this “easy to use” splitboard to go explore what the mountain really has to offer, with control and ease up and down every untouched powder field you come across. The freedom, adventures, and workout that you will experience through splitboarding is not just a new way to snowboard, it is a new lifestyle. The Volta´s Flat-Out Rocker allows you to blast through the learning curve with effortless float, while the Power Pods offer the needed support and response for getting up and down the mountain. 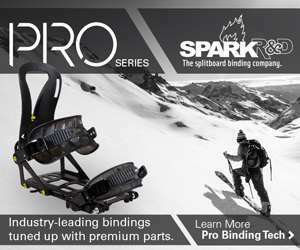 Leave the chairlift and day ticket behind and experience the purity of exploration snowboarding with the Nitro Volta. The Shredfest is our twin tip pow slaying shredder. 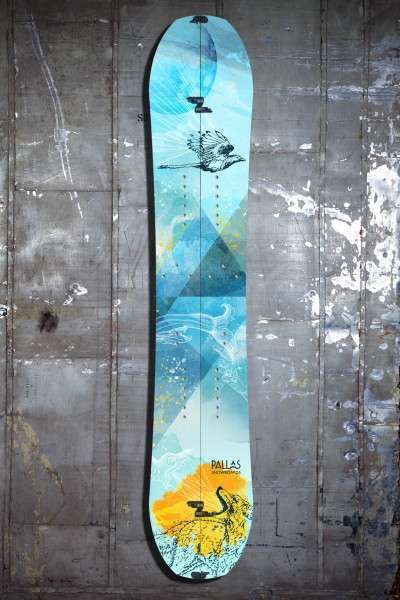 We designed this board for riders who love slaying park/natural features and floating in deep pow. Twin tip, flat camber, elongated nose and centered stance. 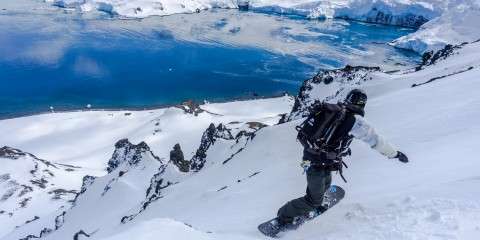 SplitLock Tech-Our patented splitboard connection system. Full Carbon fiber construction-Carbon fiber is lighter, stronger and super responsive. Full length wood core with no finger joints. Finger joints create weak points and inconsistent flex patterns. We are one of the only manufacturers that does this because it makes for a more durable and consistent core flex. Feather weight construction-Carbon fiber, our secret light weight hybrid wood core and simple, solid construction. Twin Tip for riding switch or regular. Hardened steel edges fully wrapped around the board – provides solid protection of your board from all angles. USDA certified bio based epoxy resin-Environmental responsibility. Flat float camber for huge float. Dye sublimated base-Durasurf base-the most durable base in the industry. Durable textured dye sublimated top sheet. Our Women’s OZsym is designed for women by women! The OZsym is the world’s first Asymmetric splitboard! Our OZsym splitboard is designed with a deeper and shorter heelside sidecut that digs in on icy or hardback conditions. In addition, we tapered the sidecut to help float in deep pow conditions. 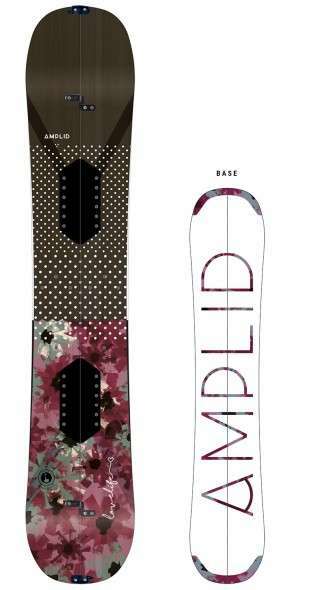 The stance is set back 20cm along with a setback micro cambered base between the bindings. The nose is a large early rise rockered shape for huge float. 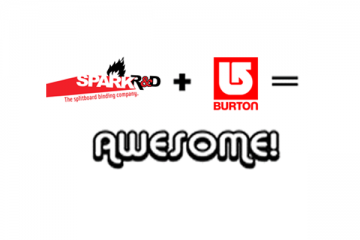 New this year we are including the SplitLock tech on the inside edge of the splitboard. Our patent pending SplitLock is a beveled sidecut with a shear tab that locks the 2 split skis into place in downhill mode. 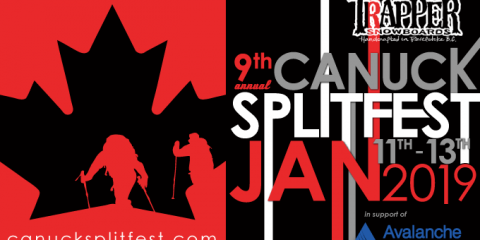 The Splitlock translates the stresses of snowboarding across your entire snowboard and not just each individual split ski. Full length wood core with no finger joints. Finger joints create weak points and inconsistent flex patterns. We use solid wood stringers throughout our entire core. Feather weight construction-Carbon fiber and our light weight wood core. Directional-Allows for perfect powder turns. Set back stance-Better float. Hardened steel edges fully wrapped around the board – provides solid protection of your board from all angles. USDA certified bio based epoxy resin-Environmental conscious fabrication. Micro Camber between the bindings with and early rise rockered nose and tail.-Micro camber for tight hold in icy conditions and skinning traction. Rockered nose and tail for float in pow conditions. The best of both worlds! Dye sublimated Durasurf base-the most durable base in the industry. Durable textured dye sublimated top sheet. For the lady that loves to sample it all, the Hedonist is a dynamic, true twin board that uncovers the mountain’s best assets, top to bottom. 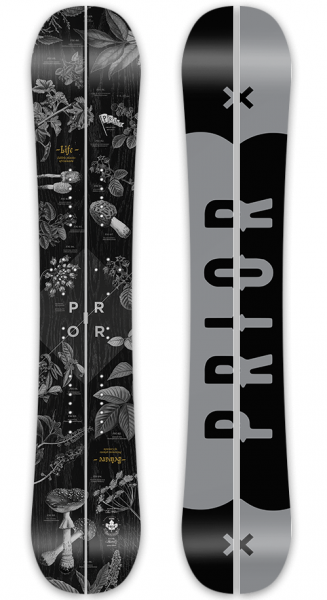 A hybrid profile—rocker in the tip / tail, camber under foot and flat in the middle—combined with carbon support delivers an energetic deck that amps up backcountry booters, park hits and all the natural jibs in between. Subtle details like blunted tips and a longer sidecut ensure better flotation and catch-free carving in unruly snow, tapping into the pleasure of all-mountain adventure. Hybrid camber for power + speed in variable terrain. Long + lean radius for catch-free transitions. Blunt tip + tail for extra surface, better float and reduced swing weight. Textured topsheet to shed excess snow. Full aspen core + carbon support for a spry deck with total-mountain ingenuity. BUHMPER inside edges for a natural ride and lightweight edging. (Splits only.) Voile clips included. (Karakoram clips upon request.) Base colors vary. Celebrating the changing times of women’s snowboarding, the Zeitgeist is forged for ladies who pioneer big lines or venture beyond the boundaries. The directional snowboard features an early rise, spoon-shaped nose and a stiff, tapered tail for an unsinkable weapon on snorkel-deep days. Its flat profile fades to traditional camber at the rear of the foot, giving riders more stability and control without compromising that elusive surf-like feeling. Flat + traditional camber for surfy turns through powder. Early rise in nose for unsinkable flotation. Short + stiff tail for control and stability. Tighter sidecut for snappy turns. Set back 7 cm to get the most out of powder conditions. Textured topsheet to shed excess snow. Full aspen core to reduce overall weight and rider fatigue. BUHMPER inside edges for a natural ride and lightweight edging. (Splits only.) Voile clips included. (Karakoram clips upon request.) Base colors vary. With a narrow waist and softer flex than the BC Split, the Brandywine Split allows Women to drive the board harder and maximize energy transfer for the best performance possible. The rocker portions increase both float and turn initiation while the traditional camber maintains edge grip, stability and rebound performance. With minimal taper, the Brandywine Split provides both power and drive on edge while allowing the playful rider to land or ride switch. This sweet ride is named after a well-known horseshoe shaped waterfall located 10 minutes from the Prior factory. We like the falls, we also like Brandy and Wine! RIDER TYPE: Self propelled female backcountry freeriders, guides and explorers who want to shred untracked powder. BEST FOR: All-mountain backcountry riding, speed, trees, powder, crud, trails and airs. The Slaylok Split is our Women’s specific twin. Taking inspiration from the AMF Split and Shotgun Split, the Slaylok Split utilizes a tighter turning radius, narrower waist and softer, more responsive freestyle flex to allow female riders to have a powerful board but built for their foot size. Its symmetrical shape promises maximum performance riding both regular or switch. RIDER TYPE: From beginner to intermediate to advanced to expert riders, this board has it all! If you are looking for a fun twin board that allows you to ride anything you want the way you want, you found your match. BEST FOR: Progression, dialing in new tricks, shredding hard and and all mountain riding in both directions. The Khyber Split has been the long running ride of choice amongst the local Whistler community on those deep, coastal days! Its name is derived from the infamous Khyber trees that face our Whistler Facility; the Khyber is guaranteed to produce face-shots! RIDER TYPE: Self propelled backcountry snowboarders who want a quick-turning ride that maximizes their powder experience. 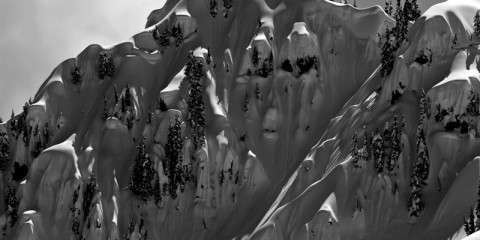 BEST FOR: Powder of all kinds – from tight trees to chutes, pillow lines and open bowls. The freedom to access untracked snow is an activity the demands a reliable, powerful and versatile board. The Powder Room utilizes our Powder S camber for the rockered float you crave and a positive-cambered tail you want to throw up huge slashes. From dawn patrol groomers, afternoon alpine ascents or just a rip in the yard, the Powder Room knows what your priorities are. The Snoday split is a perfect board for the women’s backcountry enthusiast looking for a high performance board with a freestyle flow. 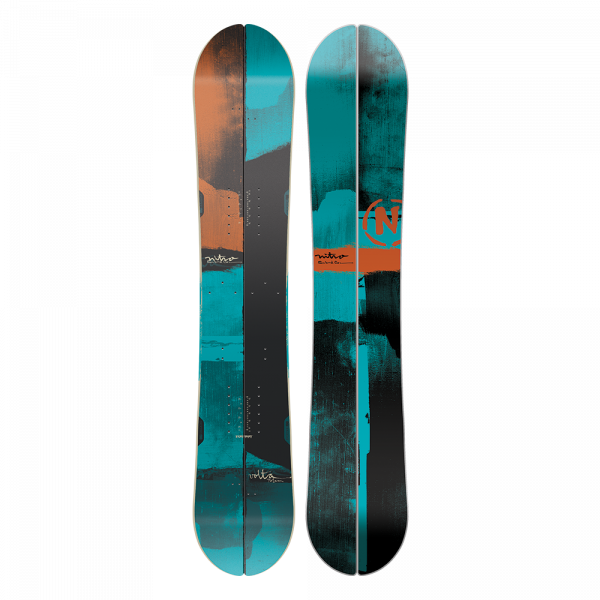 With steel edges, soft camber, and a directional setup, the Snoday split is a backcountry specialist and with satisfy any powder hounds needs, without a doubt. The Mako (Fish Sticks when split) is the fastest shark in the ocean. Like it’s namesake, this board is made for going fast. 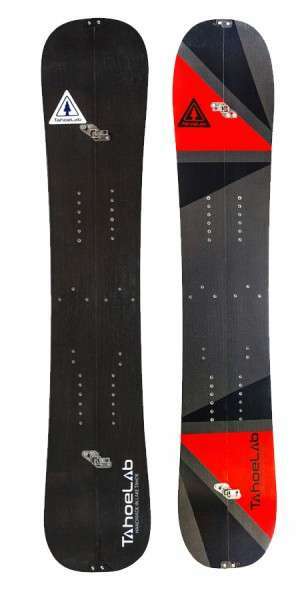 Starting from a Quiver Killer, the Mako was made more directional for a bigger focus on deep snow. A big blunt nose provides tons of float up front, while our signature pintail minimizes surface area and drops the tail down into powder while still allowing the board to be ridden switch. A directional core profile coupled with slight camber into early rise tips combine to give pop, edge hold and all mountain stability. Ridden at standard lengths. Our boards have an early rise tip and tail to allow them to be more maneuverable in tight spaces and float effortlessly in deep snow. Early rise tip and tail enable easier turn initiation at high speeds and give the boards a loose, playful feel when fooling around at slow speeds. The board’s Wide-Body Design adds extra width we eliminate toe and heel drag for riders with average to above average size feet, whether trenching deep carves or dropping into a steep, icy chute. Our wider boards also give great float in powder and a bigger platform when landing airs. Our unique Bull Shark tip and tail design allows for a longer effective edge on a shorter board, giving a more stable ride when the board is on edge. The Bull Shark design also gives more flotation in soft snow. At TahoeLab we use full sheets of aerospace grade, intermediate modulus carbon fiber in every board. Adding carbon fiber gives our boards a livelier flex, reduces the overall weight, and prevents them from losing their strength and pop after seasons of hard riding. Bamboo cores have a great strength-to-weight ratio, allowing for lighter, snappier boards and is the most renewable core material currently available. Our bamboo is responsibly harvested and FSC certified. The DuraSurf™ sintered base material, which offers superior toughness and resistance to rock damage as well as providing excellent wax absorption and a super fast ride. By removing the edge from the tip and tail area of our boards we have lightened the swing weight and reduced the chance of the boards getting hung up on rocks in a tight chute. Our edgeless tip and tail is also easier to repair if it gets damaged. 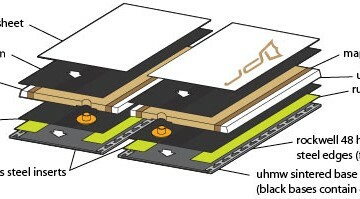 UHMW (P-tex) sidewalls are recognized throughout the snowboard industry for providing durable edge protection and damping out vibrations while riding. The Howler is designed to surf pow equally well in both directions as a true twin. 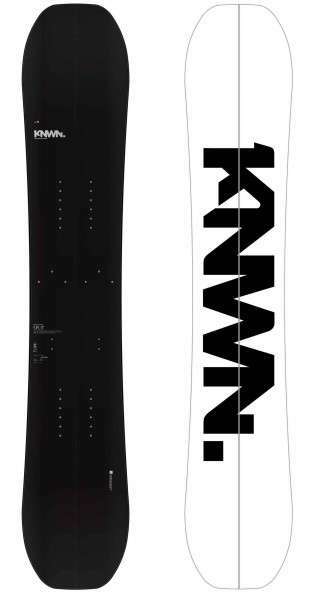 While it is a powder performer it’s design and characteristics maintain a fun and forgiving board all over the mountain. This board ideally suits riders that live for pow but regularly ride switch while doing so, especially splitboarders that demand a twin. It also suits riders who are looking for a great all-rounder that provides a playful and forgiving feel in all conditions. The Trout Trap is designed to surf powder. It provides balanced float along it’s length rather than relying on a sinking tail to keep the nose up. This creates a board that is highly maneuverable and carries as much speed as possible through all terrain. This means bigger pow slashes, more face shots, and no getting stuck in the flats. 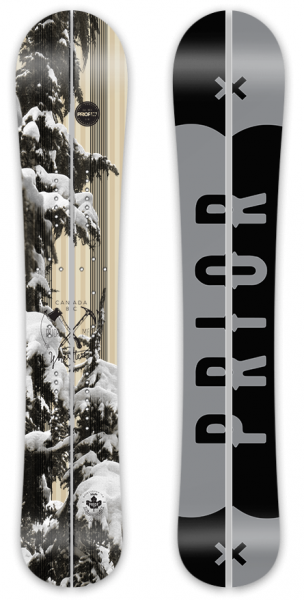 It’s a go to board in the quiver for any fresh days or for seeking out and destroying your favorite pow stashes. For those that surf water in its liquid state, this board is a true translation of a fish surfboard; extra float, short, nimble, and generates plenty of down the line speed. Catch more waves on the Trout Trap! 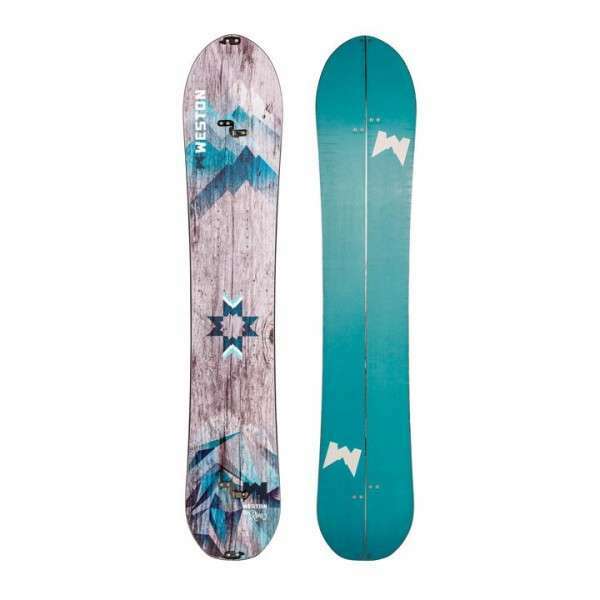 The Trout Trap best suits riders looking to add a powder board to their quiver or the lucky rider that only rides pow. Our most popular model. The Ursa breaks the freeride mould to make our ideal aggressive freeride board without sacrificing a playful feel. Floatation, stability, and power transmission. The design doesn’t rely on the tail sinking to keep the nose up, the shape and flex create a balanced float. This improves maneuverability, speed in soft snow, more tail support on drops, and allows the rider to pop off of soft features without the tail punching into the snow as much. While it is not designed to excel at riding switch in powder it manages to do so when needed but rides switch perfectly on firm snow. 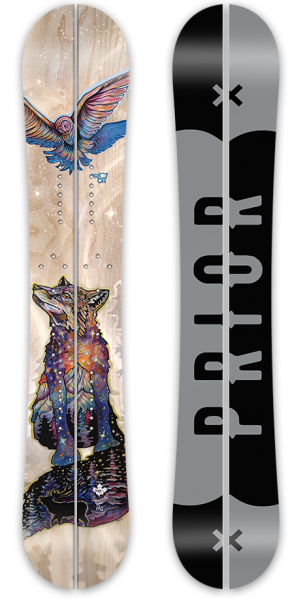 The Ursa ideally suits riders that like to point and shoot, ride big lines, smash lots of pow, send it, charge any and all conditions, or are looking for a versatile board that is focused on riding powder in one direction. The Oracle is Venture’s flagship all mountain deck for women. Rest assured, this isn’t just a watered down version of our men’s boards plastered with girly graphics. We use the same bomber materials and construction techniques, so the build quality, performance and durability are top notch. Add a women’s specific flex pattern and tighter stance options to this directional shape, and you get a fun loving ride that crushes anything the mountain or Mother Nature throw your way. Built to precision tolerances, the Oracle splitboard’s super tight inner edge delivers an unmatched ride with a solid board feel. Includes Voile hooks/clips. 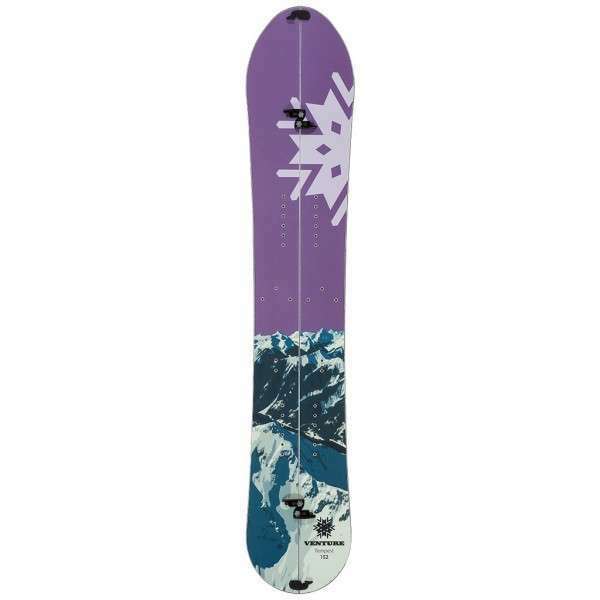 Our shredding sisters need solid equipment that’s up for every challenge, so Venture proudly offers the Tempest – a women’s specific freeride board. We use the same bomber materials and construction techniques that Venture is known for, while adding women’s specific flex and tighter stance options. The Tempest’s moderate taper and a softer nose provide float in the fresh, while a stiffer midsection and tail drive stability and control. New this year is a carbonium topsheet for reduced weight and enhanced durability. Designed with hard charging ladies in mind, the Tempest delivers maximum power for carving turns, stomping landings, and ruling anything you choose to ride. Includes Voile hooks/clips. A demanding backcountry rider need not be a distant, unemotional creature with a propensity for playing air guitar or relishing his “cave” time. The truth is: Many of the toughest snowboarders and backcountry enthusiasts out there are women. And for them, the Voilé Womens Revelator fits the bill. The board’s relative width, robust flex, long camber area, early-rise nose, and tapered tail all let the Womens Revelator not only keep up with the boys, but shred the sickest of lines, to boot. And rumor has it that our signature Voilé Channel Puck System is quite the heartthrob, too. Named after the iconic Riva Ridge that was stormed by the 10th Mountain Division, our first women’s specific splitboard was created for the ladies who test the limits of their gear in the same fashion. This board is capable of taking your riding to the next level, whether in-bounds, or out. Why is this review written by a man? I would happily review these for you if you are having trouble finding a woman to review women’s boards. Hey Amy, I don’t think we would have any trouble finding a woman to review boards. This was more of a guide to show women what’s available to them. Where are the reviews? Sure they all look nice but if you really want to provide women with some direction give an opinion on how they perform not just how the manufacturer claims it performs. The collection is great, just needs a woman’s touch (review) to finish this guide off.